Sun blinds such as drop arm awnings and auto sun blinds can be an attractive addition to your premises. Such auto blinds provide you with the best of both worlds – sun when you need it and shade when you want it the most. Fully extended for rain protection and shade and fully retracted for sun, these types of awnings certainly add charm to your surroundings. Sun blinds also enable you to simply transform your patio or deck into an outdoor room within seconds. At Blind Concepts, we offer top-of-the-line auto blinds and drop arm awnings. Whether you want motorized retractable awnings or manual retractable awnings, we can provide you with exactly what you want. Our drop arm awnings and auto sun blinds are designed to perfectly suit any type of windows and offer maximum sun protection. Different adjustable angles of projection allow you to regulate the view outside or control the amount of light entering into your indoors. Our auto sun blinds and drop arm awnings provide unmatched UV protection and superior temperature control. While they save your favourite furniture from being damaged by filtering out harmful and degrading UV radiations, they also cool off your outdoor spaces by blocking out direct sunlight. We provide one of the most versatile collections of awnings and blinds, which provide variable drop angles with numerous drop positions to provide maximum heat control. Our drop arm awnings make an excellent way to cover huge windows and make it easy to operate for anyone. Motorised counterparts of these awnings make it easy to operate even in hard-to-reach regions. When it comes to doors, our Variant drop arm awnings make a perfect choice. This is designed to enable you to easily slide the pivoting arms provided at the back to offer a flatter pitch and get access through the door. Available in blockout, classic canvas or sunscreen fabrics, our awnings come in both motorised as well as manual operations. We offer you with the widest possible choice of fabrics, designs and colours, along with the option of different types of fabrics. Some of our products also enable you to easily see the outside surroundings through the fabric and enjoy the scenery beyond. Our awnings make an ideal solution for doorways as well as upstairs windows. These products are designed to withstand even the most adverse climate and high winds. Our professionals will fit it externally around door frames or windows to provide you with maximum protection and convenience. 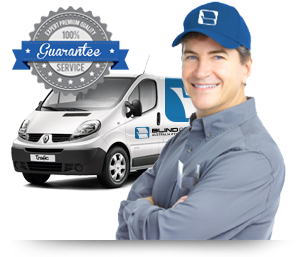 Blind Concepts is one of the leading and the most trusted drop arm awnings and auto sun blinds in Australia. Besides, we are a certified Verosol dealer, which makes us a specialist in providing high-quality blind solutions to all our clients. We not only supply, but are also equipped to install awnings and blinds of your choice. Please feel free to call us on 03 9720 1778 to talk to our representatives. We look forward to hear from you.